July 21 - 22, 2018 / 11:30 a.m. - 5:00 p.m.
Join us July 21-22 for a super-fun event just for kids! This year, KidsFest is more exciting than ever before with a new theme and interactive activities in the Harmony Hall midway area. This weekend of "Arts in the Park" will bring out the little artist in everyone! Kids will have the chance to help a local artist, Jen Hill, create unique pieces each day. Stick around for Stick(y) Paint, a one of a kind fun, interactive art show happening every day at KidsFest. Other arts and crafts will be scattered throughout Camp Snoopy for a day full of excitement and creativity. The fun doesn't stop there! Our game crew is there to challenge you with activities designed just for kids and their families. Even Snoopy and the PEANUTS gang will be decked out for the occasion, ready for silly photos and giggles with their fans. You definitely don't want to miss out on all of the imagination and inspiration at KidsFest! Join a group of groovy painters and help them make some new art! 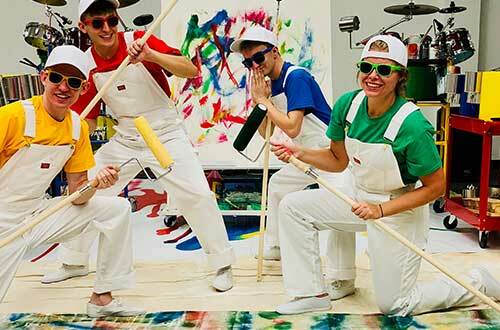 Using household painting supplies, this interactive high-energy show is fun for the whole family as these painters use percussive rhythms and visual tricks to create a masterpiece. 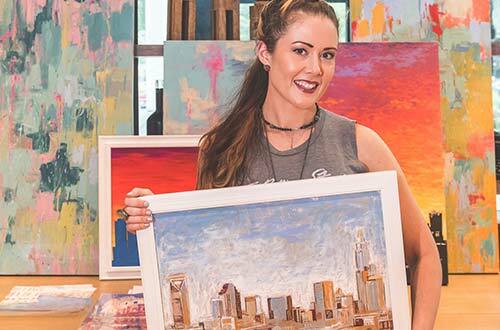 Join Charlotte muralist Jen Hill as she helps bring art to life right on the midway! With the help of park guests, each day Jen will recreate one famous piece of art. Guests will also be able to help make a unique masterpiece that will be donated to a local charity.